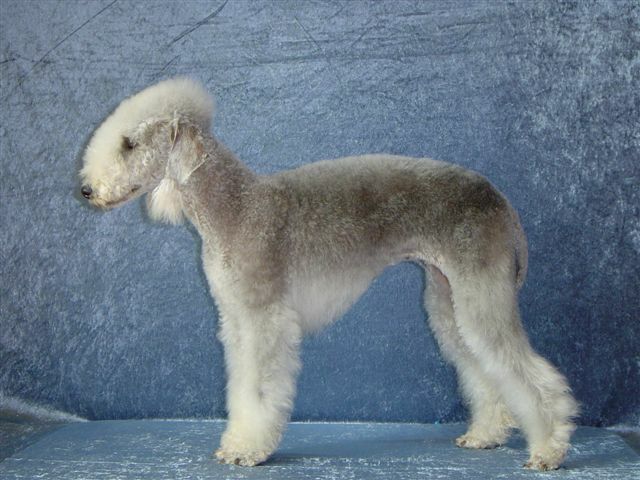 The Bedlington Terrier is a graceful medium-sized dog of good proportion. The head is well-rounded yet narrow, with a short skull and long jaw. On top of the head is a thick topknot which is lighter in shade than the rest of the coat. The almond-shaped eyes are set high on the head, and range in color from hazel to dark brown depending on coat color. The expression is one of courage and energy. The low-set triangular ears sport rounded tips and are three inches at their widest point. The nose features large, well-defined nostrils, while the jaws and muzzle are strong and well-tapered. The head is carried high on a muscular, tapered neck, leading to a deep-chested, muscular body. The hind legs are a bit longer than the front legs, slightly bent at the pasterns. 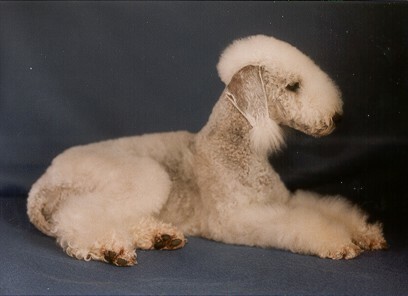 The tail is thick at the base and tapers to a point that reaches to the hock. The coat texture is quite distinctive, not wiry, yet not soft, with a slight curl. Coat color can vary, and can include sandy, silver, blue, blue and tan, sandy and tan, and liver and tan. They can also be kept in homes with smaller pets like cats if they are socialized with them from puppyhood. 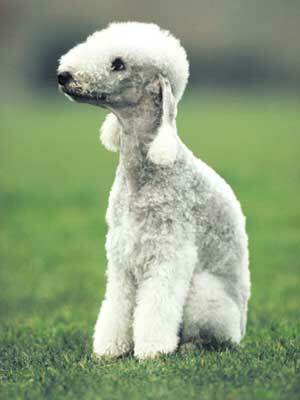 Bedlingtons are energetic without being yappy. Because these dogs are terriers bred to hunt small vermin, they should be kept on a leash or in a well-fenced yard to prevent them from running after rabbits and squirrels. They are loyal and quite friendly, even with strangers. 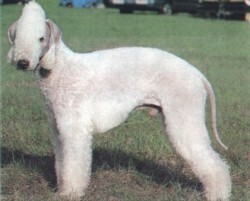 The Bedlington Terrier makes a great indoor dog provided it gets a chance to exercise everyday. 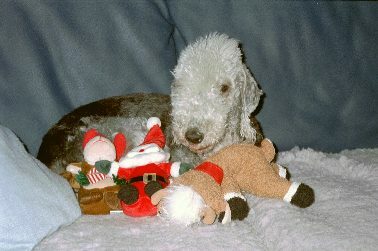 You may want to supervise your Bedlington when it is outdoors, as these dogs are voracious diggers. You will need to brush and comb the coat on a regular basis and take the dog for coat clipping every two months or so. Keep the ears clean and free from dirt and mites, and the nails trimmed. 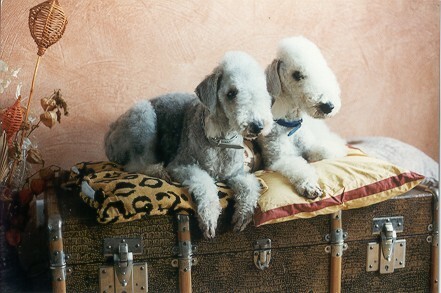 People with allergies often choose the Bedlington because of its hypo-allergenic coat qualities. 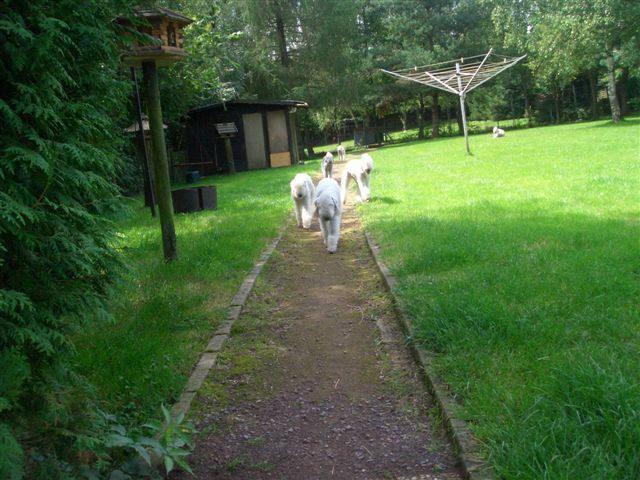 Like most dogs, the Bedlington Terrier will need to be walked daily. 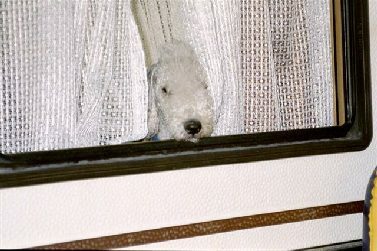 When left alone for long periods or not given sufficient exercise, the Bedlington can become destructive out of boredom. Health problems in this breed include copper toxicosis, distichiasis and renal cortical hypoplasia. 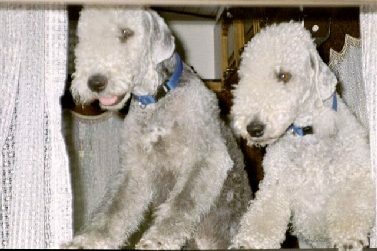 Most sources, however, are content to say the Bedlingtons ancient origins are a mystery, and credit a man named Joseph Ainsley of Bedlington, England with breeding the first true Bedlington Terrier in 1825. Starting at that time, the dog found instant popularity as a skilled ratter and hunter of small game. 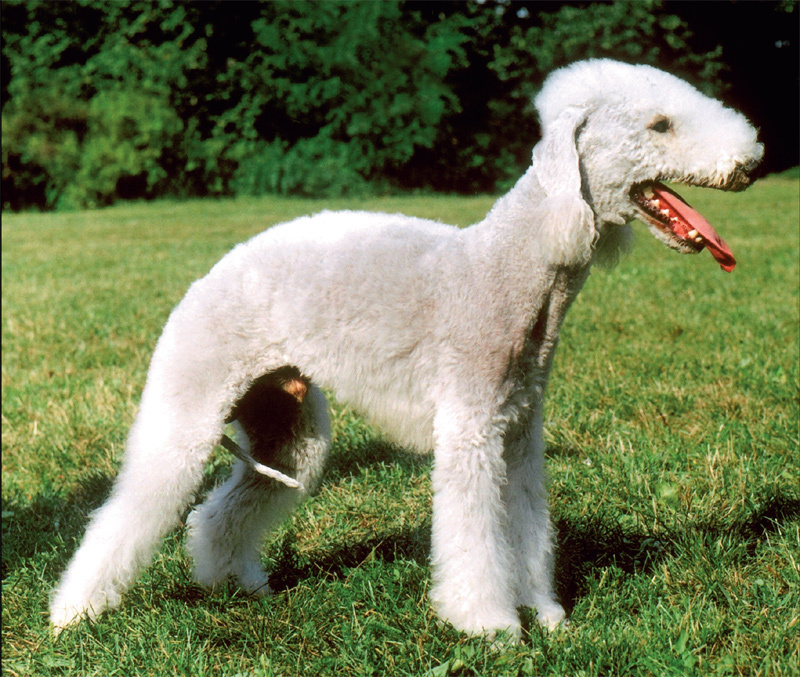 In this capacity, the dog is greatly aided by its incredible speed, which some point to as evidence that the Whippet might be one of its ancestors.In 1877, the National Bedlington Terrier Club was formed in England. Since then, the breed has been recognized by many canine organizations, including the American Kennel Club in 1886. 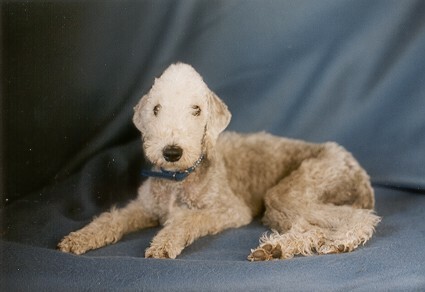 Today, the Bedlington Terrier can be seen in the field, the show ring and in the family room, although the breeds extensive grooming needs tend to scare away all but the most attentive of owners.